Timeless design and functionality can look excellent, the standard I mail box proves this. 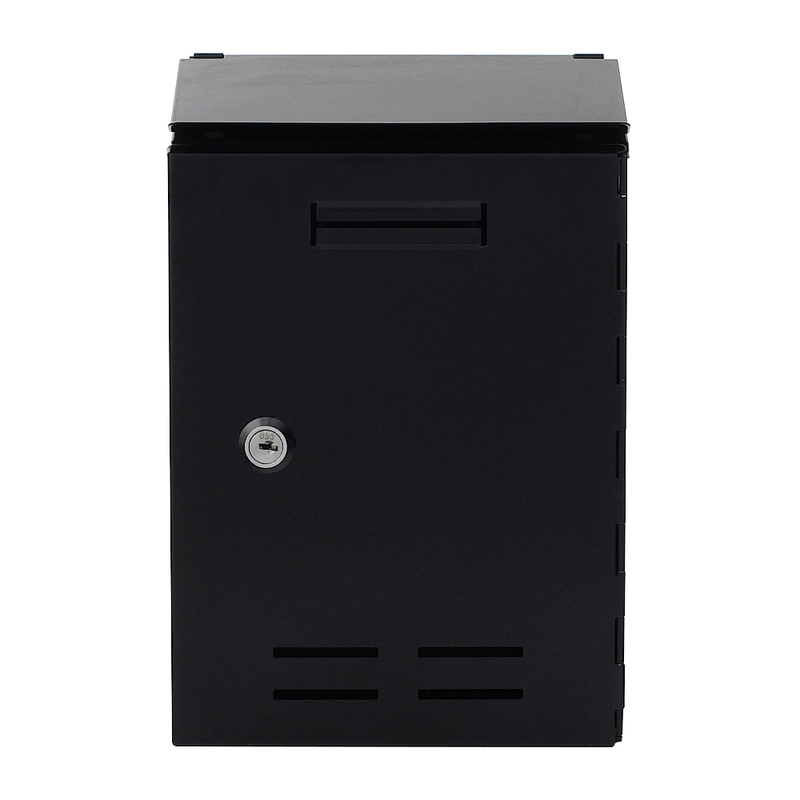 It's body is made from powder-coated sheet steel and has a rear insert which facilitates handling for all your mail.This small mailbox fascinates the lovers of simple, small letter boxes with it's perfect design. The Rottner Standard I Letterbox in Anthracite is a simple letterbox made from powder-coated sheet steel offers durability and a timeless design. It's rear insert facilitates the handling of the letterbox post. The standard I mailbox is a small mailbox which meets all expectations. Easy mail retrieval via large door. Rear access mailbox, with front door. Cut out holes indoor allow you to see visible mail.